Millions of middle and high school students are now vaping. Are your kids? It’s time to have the vaping talk. Free classes for adults in South Central Idaho. Idaho WIC Receives Organization of the Year Award. Do you have Pertussis (Whooping Cough) or the Flu? This chart shows you the symptoms of both. The Board of Health for South Central Public Health District is composed of nine voting members, each representing their respective county and the medical consultant. Board members are appointed by their County Commission for a five-year term following a vote of approval by a majority of the other commissioners in the counties of the South Central Public Health District. The Board has authority as designated in Idaho Code 39-414 "to do all things required for the preservation and protection of the public health." The Board appoints a District Director who serves as the secretary and administrative officer to the Board. The Director carries out the policies and directives of the Board. Correspondence may be addressed to Board members at the Twin Falls Office. Idaho’s seven Public Health Districts were established in 1970 under Chapter 4, Title 39, Idaho Code. They were created to insure essential public health services are made available to protect the health of all citizens of the State—no matter how large their county population. The intent of the legislature in creating the seven Public Health Districts was for public health services to be locally controlled and governed. Each of the Public Health Districts is governed by a local Board of Health appointed by the county commissioners from that district. Each Board of Health defines the Public health services to be offered in its district based on the particular needs of the local populations served. The districts are not state agencies nor part of any state department; they are recognized much the same as other single purpose districts, and are accountable to their local Boards of Health, but are required to operate under policies and procedures established by the State of Idaho. The law stipulates that Public Health Districts provide the basic services of public health education, physical health, environmental health and health administration. However, the law does not restrict the districts solely to these categories. 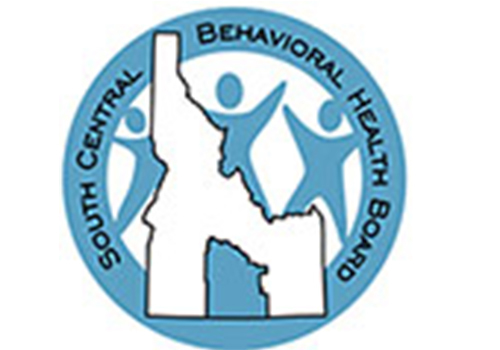 The community health improvement plan (CHIP) is designed to align resources from South Central Public Health District (SCPHD) and the community to improve the health and well-being of south central Idahoans. The community health improvement process began in 2013 when the SCPHD senior leadership team worked together, under the guidance of the Board of Directors of the agency, to create a strategic plan to realize the vision of Healthy and Prepared People in Our Communities. The SCPHD strategic plan sets the goals for the agency to fulfill its mission to prevent disease, promote healthy lifestyles, and protect and prepare the public against health threats. To ensure these strategic goals are aligned with the community health priorities, SCPHD leadership developed, with input from the community, a community health improvement plan (CHIP). The CHIP was developed from the results of the Community Health Assessment (CHA) survey conducted by the agency in 2014. The following information provides critical insight into the operation and strategic planning for South Central Public Health District.